In mid-November, the traditional Agritechnica trade fair will take place in Hannover, Germany. It is one of the largest exhibition events in the field of agricultural technology and machinery in the world. This year, TATRA TRUCKS will also be represented at the fair. Two years have elapsed and in Hannover, Agritechnica will open again on November 12 - 18. Among the thousands of exhibitors, TATRA TRUCKS will be also presented. 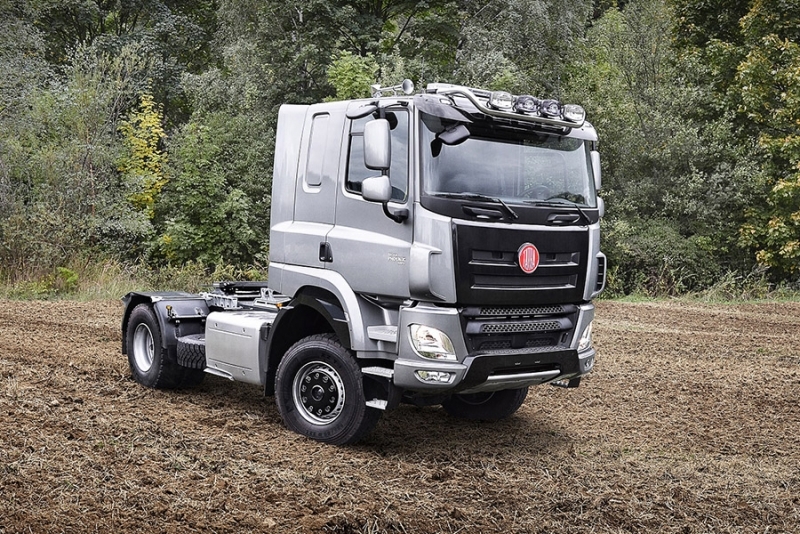 In cooperation with its German dealer Metallbau und Fahrzeughandel Friedrich, the company will be exhibiting a special TATRA PHOENIX Euro 6 truck in a semi-trailer version with a 4x4 chassis designed for completion with agricultural semi-trailers (popularly known as Tatractor). The new special vehicle is equipped with an extended sleeper cab and is adapted to move both on farmland and on ordinary roads. The new truck will be displayed on a common stand of the Koprivnice company and the aforementioned dealer in Hall 4, Stand A21. Traditional Agritechnica is held every two years and its history began in the mid-1980s in Frankfurt am Main. Since the mid-1990s, he has been regularly hosted in Hannover, enjoying great appetite both for exhibitors and visitors from all over the world. In 2015, more than 450,000 visitors from 115 countries visited the Hannover Fair, with over 2,800 exhibitors from 52 countries in more than 20 exhibition halls exhibiting their production and production opportunities. The best products are traditionally valued by gold and silver trade fairs awards.